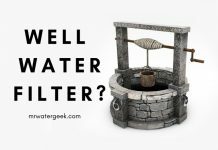 Do you get your water from a well and need to get an iron water filter because well water usually contains large amounts of iron? 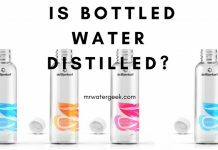 This is an issue because iron will usually change both the taste and smell of your water. The result of iron in your water are reddish ugly spots. You will usually find this on almost all surfaces that the well water comes in contact with. It can also lead to equipment damage. This article is for you if iron is a concern. It will explain what iron is, how to treat it naturally and suggest some machines that can help with this process. This will include looking at the biggest brands with the best customer feedback. 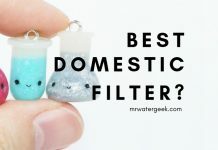 It is for this reason that I will not be discussing the Culligan iron filter, the iron filter from Lowes, Menards or the iron filter Home Depot. 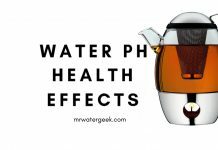 Iron in Drinking Water – Is It DANGEROUS? 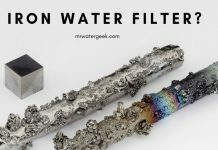 How to Remove Iron From Well Water Naturally? How to Remove Iron From Well Water? 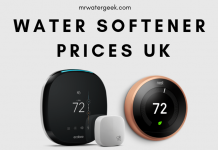 Buying your device through Aquasana? 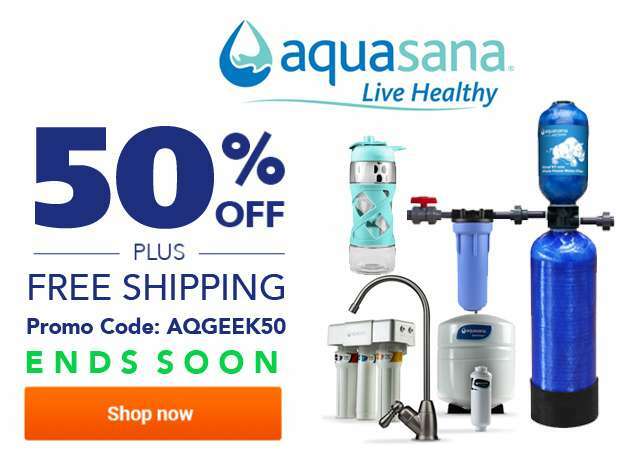 Then get Up to 50% OFF + FREE shipping on select products with: AQGEEK50. Iron (with the symbol Fe) is a natural mineral. 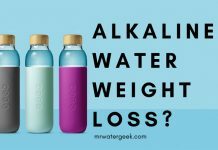 It is dissolved in your groundwater and consequently high iron values are the second most common problem (after water hardness) for people that use well water. The bad news is that iron is a lot more difficult to treat than minerals of hardness that cause white limescale. Iron removal is more difficult because iron compounds are more insoluble. Aside from iron, well water is usually riddled with different compounds that need different treatment methods. 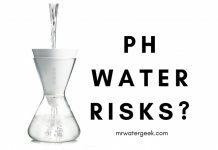 There are also other factors such as the pH level of the water that also needs to be considered. 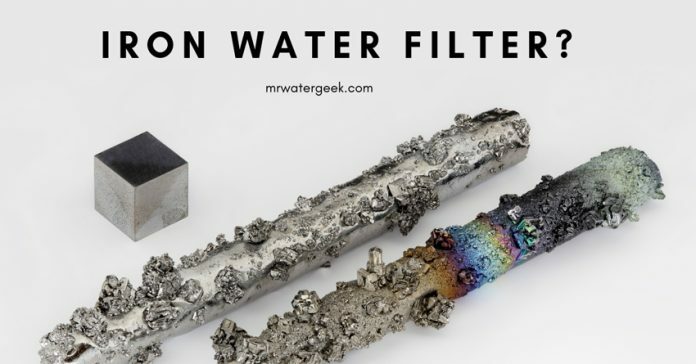 The good news is that most iron filters also treat most common water contaminants, especially if they are dedicated well water treatment machines. Iron is actually an essential trace element that all living organisms need. 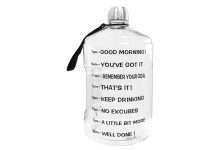 This means that iron present in drinking water is not necessarily bad for health. In fact, many people need more iron in their diet and iron-deficiency is a common health issue. 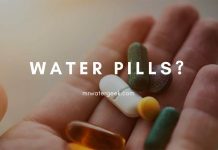 However, you really want to get iron in your diet through nutrients and supplements NOT through well water. 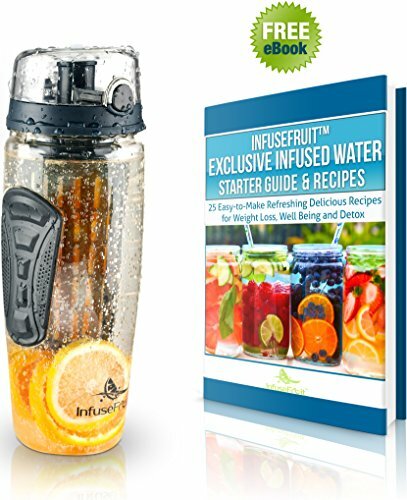 Water with extremely high levels of iron minerals can have negative effects on your skin. First of all water and iron do not mix well with soap so this means it can be problematic for people with dry skin. High levels of iron can also damage healthy skin cells. One result of this can be premature wrinkles. High levels of iron in your water can make hair dry, frizzy and weak. Over time this can make hair fall out. Aside from high levels of iron, your hair suffers when there are high levels of other minerals in your water. For instance, minerals such as magnesium, copper, iron and calcium make your water “hard” and this is not good for hair. So now you probably are wondering what the first step is in being able to filter iron? Well, the answer is to know how high the iron water levels are is to get a iron test kit. 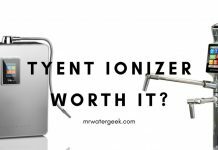 How can you tell if there is too much iron in the water? Well most iron test results that show yellow or red can indicate iron (but read the instructions). 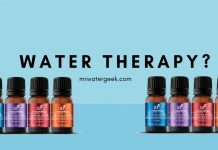 You should also try to get a full water test kit that shows you everything. Everything from hydrogen sulfide, pH level, hardness and alkalinity. Some tests can also check for things like bacteria. If you want to have the most accurate results then you should get a professional laboratory test. Specifically by sending your well water to an independent laboratory. Getting a full water test kit is obviously cheaper but this comes at the cost of less accuracy. Of course, you can avoid the need for tests by observing your pipes. For instance, simply noticing the iron corrosion of pipes, machines, fittings, equipment or water heaters. Although there are lots of machines and devices that can remove iron as part of a natural process. Note that the approach laid out below can also help tackle the problem of iron pollution. Test the level of iron in the water. First things first, you need to know how much iron you’re dealing with. A good quality water test kit will help you determine the exact level as discussed in the previous section. Choose the best iron treatment system. This will depend on the level of iron that show up in the test mentioned in the previous section. If your test result show low levels of iron then you may be able to get away with a regular water softener. Moderate levels of iron may require a water filter and softener combination. While moderate to high levels of iron will require a softener + filter+ iron filter combo. Install the right device in your home. Most modern devices are easier to install and usually come with the full installation kit. However, I always recommend that people do not try to do it themselves unless they are a softener + filter+ iron filter combo by trade. Doing it yourself can possibly void the warranty and guarantee that comes with the machine. So it’s always best to hire a professional plumber to install this for you. 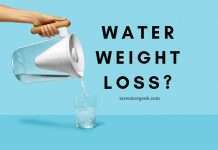 Test the water again. 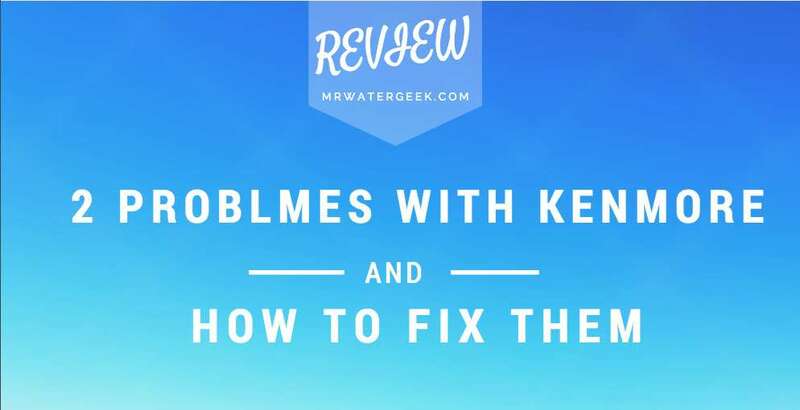 Now that you have the right device installed you should check the water again to make sure it works. If it is not working (according to the water test) then chances are that the equipment was not installed properly. Maintain the device correctly. Now that you’re happy with how the device is working, maintain the results by keeping the device correctly maintained. The best way to do this is to read the manufacturer’s instructions or speak to the professional plumber that installed the device for you. Storing it correctly and checking on it regularly will mean you will continue to get the full benefits of the device. The table below highlights the best ways to remove iron from well water. 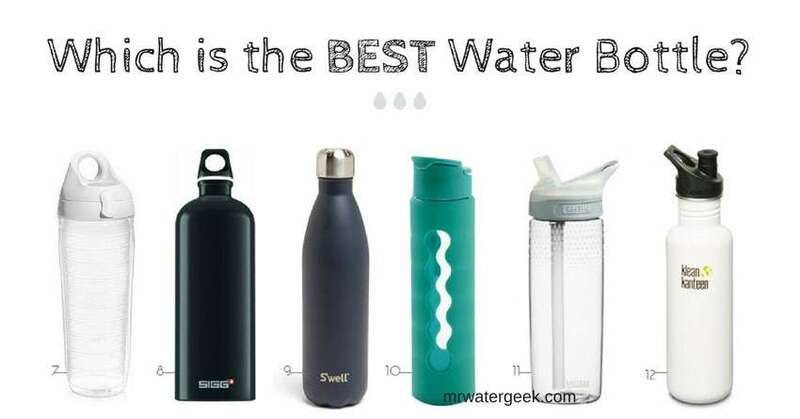 The devices that are listed below are specifically designed for well water and are the best rated among customers. Softener and iron filter only. 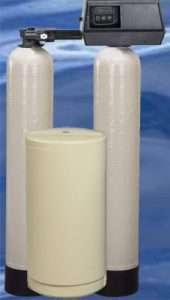 $$$ 1-2 Stage Filtration - Removes a hardness of up to 75 gpg. Air Injection Iron Filter For Well Water With Fleck 2510SXT No softener, filters manganese and iron. 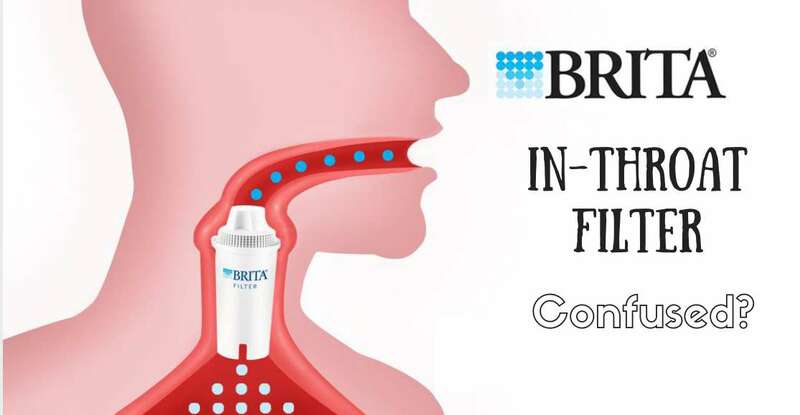 $$$ 1-2 Stage Filtration - Filters iron, manganese and removes rotten egg odor. (50% OFF with coupon code: AQGEEK50) 4-stage filtration (with optional add-ons e.g. UV filters). - Filters iron. The Iron Pro 2 is a water softener that also removes iron. The twin tank machine is able to handle water that is very hard (up to 16 GPM). It works by using a fine mesh and this means that it’s a powerful filter that can last longer. 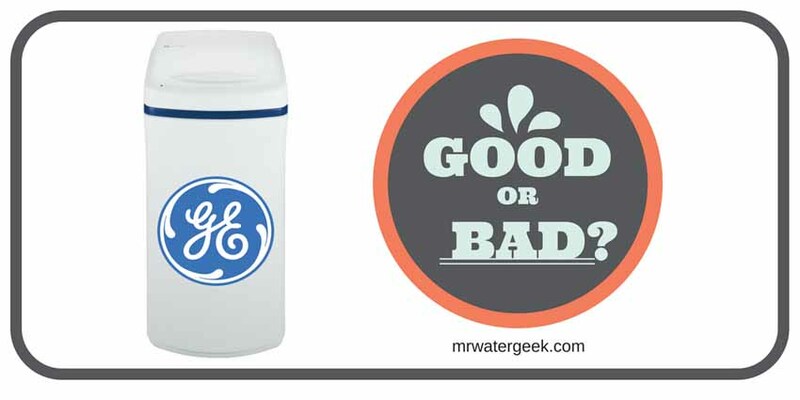 The tank is based on the ever popular Fleck water softener model. 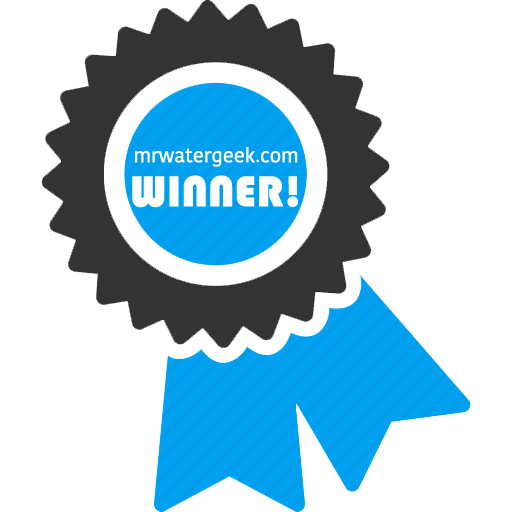 Fleck is by far the best selling water softener in the US and has lots of positive customer reviews. The result is that this Iron Pro 2 is not only a iron filter but can treat very hard water. This means that it also removes hard minerals like calcium and magnesium along with the iron causing you problems. One of the best features of this machine is that you can program it to regenerate only when you need it. 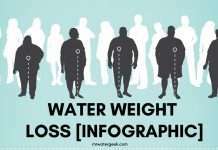 This means that you can easily increase or reduce the amount of water it regenerates. The result is more money saved due to more efficient use of water and electricity. 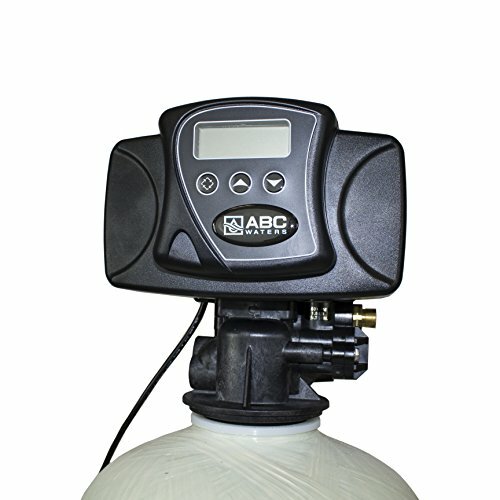 This is essentially a water softener model that also treats iron. 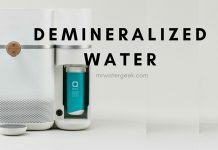 You should not expect a full water filter that can remove a complex array of contaminants – it mainly deals with minerals like iron, calcium and magnesium. Price: Check the current listed price. 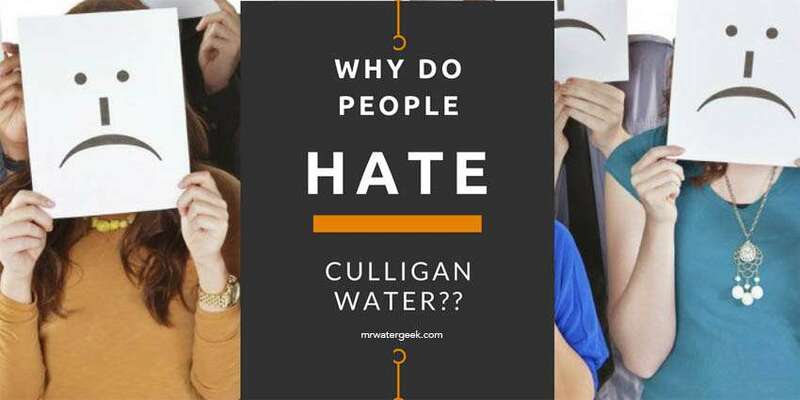 An air injection iron filter for well water is the most effective solution for dealing with iron and manganese that creates a rotten egg odor. It is able to do this because of its filter media cartridge in the tank which will trap oxidized sulfur and iron. This is before the water is then flushed into the drain during the back flush cycle. Although the filter medium typically last for 5 years they are easy to change if needed. The SXT softener models are currently the most popular form of water softeners in the US. However, the 2510SXT is not a regular water softener. This model is in fact an air supply control. So that means you get the SXT digital backwash controller with the 2510 valve. The efficiency of this model means low maintenance and easy handling. 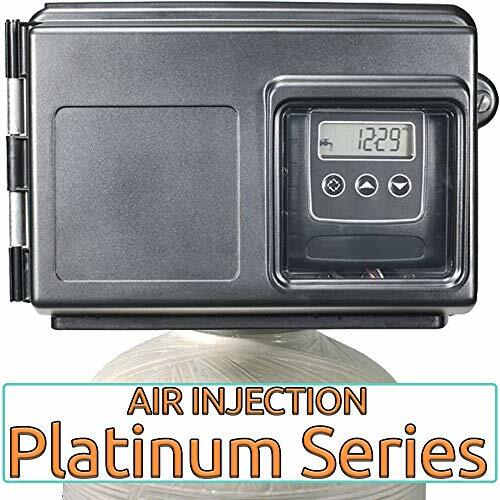 While you will not need a separate pump to add air with its single tank design. The treatment process is carried out in a single tank because it works by creating an air bubble on the tank. This removes the need for a separate tank or pump. Another result is also a reduction in the wear and tear of the system by removing contaminants immediately after oxidation. Does NOT include a FULL water softener or filter. It only targets specific minerals like iron, sulfur and manganese. The complete system includes the air injection head 2510SXT, tank, media, bypass valve and the riser with distributor. Easy to disconnect the system for repair purposes. Enough capacity for larger houses that include 4 or more people. It is a good filter treatment option for dealing with sulfur and iron. It does this with no need for chemical products or salt. Eliminates manganese up to 11 ppm, sulfur up to 17 ppm and iron up to 27 ppm. High flow system of 12 “x 52” 1 bypass. Note: The color of the tank may vary. It normally comes in an almond color, but can be black depending on the supply. 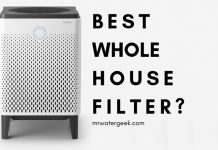 Aquasana is the biggest and most popular whole house water filter brand available today and this is their well water specific whole house filter. One good thing about this whole house well water filter is that it comes with all the equipment that you will need to install. This is good because it can be a little bit complicated so having the full installation kit helps. However, you will really need to get a professional plumber to install it for you. 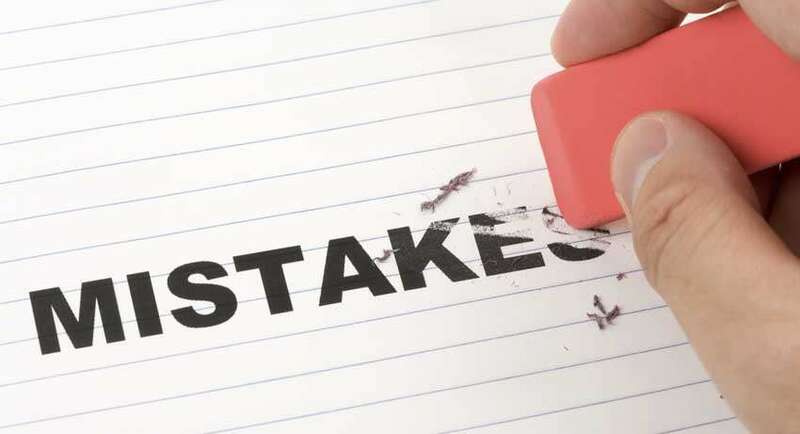 Trying to do it yourself can mean that you will void the warranty. This well water filter can treat up to 500,000 gallons before it needs replacing. 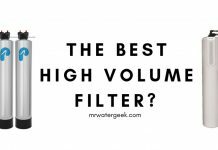 The Well Water Rhino uses specially formulated media filters that treat well water specific issues. 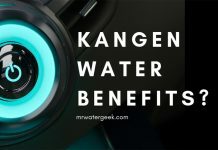 For instance, it contains things like catalytic charcoal and a KDF 85 filter that will not only filter out iron but also algae, sulfer, hydrogen sulfide, VOCs and bacteria. Also, getting the UV filter (optional upgrade) will also kill 99.99% of all bacteria and viruses. Especially those types of bacteria that can survive in untreated well water. You can use it to treat 5 hundred thousand gallons of well water. It comes with the entire professional installation kit that you need. 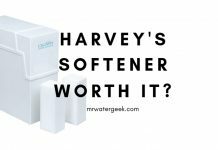 Although you can add a salt free “softener” system (i.e. Aquasana SCM), it’s not technically a softener. 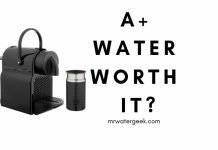 It’s more of a water conditioner and filter that treats your water. 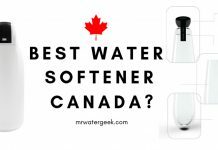 However, the results are similar to what you would get with a water softener as it stops the effects of hard water effecting your home. You also have the added benefits of a powerful filter that treat much more than just iron. 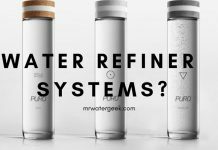 Specially designed to deal with well water and the unique issues that affect well water. 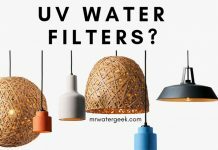 Getting the UV filter upgrade can help treat a number of things including manganese. This means that you can consider this to also be an iron and manganese removal system. 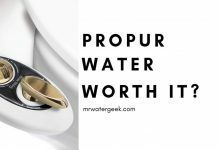 It supplies the entire home with iron free water that is also treated. A guaranteed lifespan of 500,000 gallons of treated well water. It is a high performance system, so this does not affect the water pressure in your home. This well water filter machine requires little or no maintenance. 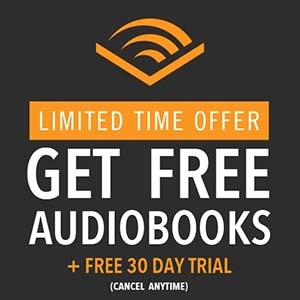 LIMITED offer that is ENDING SOON. 50% OFF promo code that may also qualify you for FREE delivery AQGEEK50. 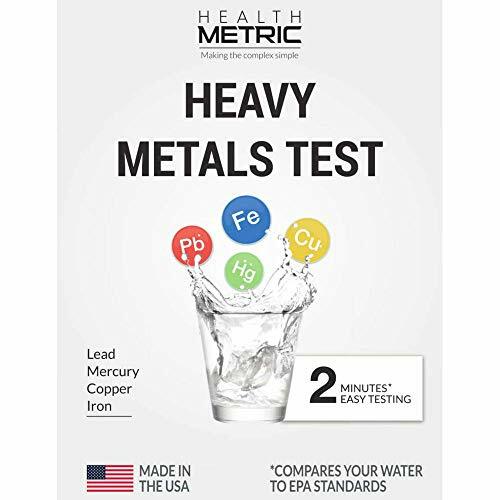 Once you have used a water test kit to check the levels of iron you will have a better understanding of what might be the best iron filter machine to get. The cheapest way to remove iron from well water is to get a water filter jug like Zero and filter the water before you drink it. However, this is very inconvenient especially for families. 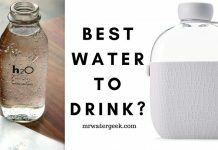 This article has suggested 3 of the best iron water filter machines that you can use. 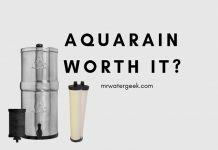 By far the most comprehensive well water filter is the Aquasana. However, if you only have small amounts of iron and few other issues then you should consider getting the Air Injection Iron Filter For Well Water with Fleck 2510SXT. Just note that the air injection is only capable of removing iron up to 27 ppm. The Iron Pro 2 is ideal for those who really need a machine that will mainly focus on iron removal and also create soft water at the same time. 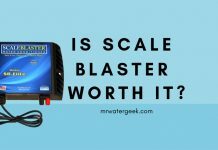 Previous articleTop 2 Scale Blaster Reviews – Should You Really Believe The Hype?